I recently was on vacation and decided to stop by the RoadRunner Sports store in Tualatin, Oregon. I have been buying my running gear from Road Runner for a few years now. 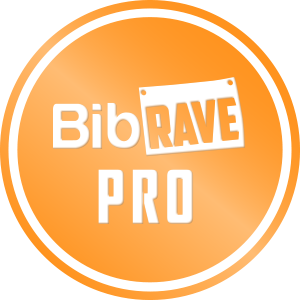 They have some of the best prices on running gear, especially when the gear is on sale. 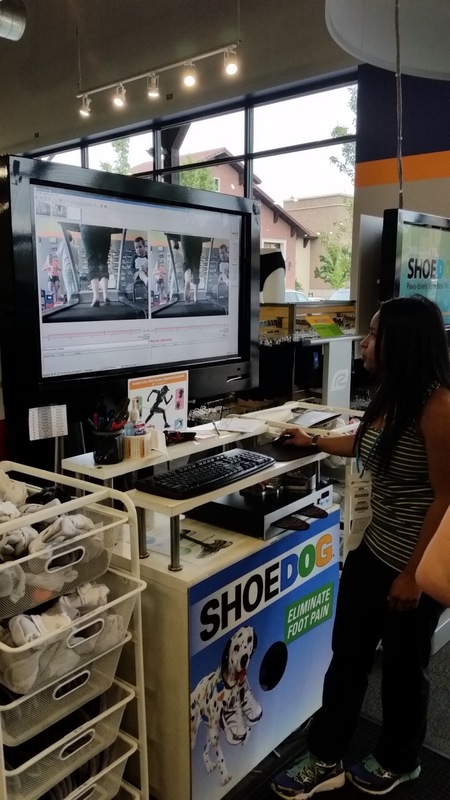 Road Runner Sports lets you try your shoes for 60 days risk free automatically. You can join the Road Runner Sports VIP Family and get some great perks. You can now try out your shoes risk free for 90 days. You will also get free shipping, 10% off everything, and the promise that they will ship your gear within 2 hours of placing your order (if made during normal business hours). They also have special discounts on gear for VIP members and this all only costs $1.99 for the first year and $26.99 every year after that. Not paying shipping will cover that cost in no time. They also have a low price guarantee and will match any competitor’s price. 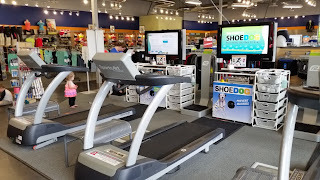 My wife was in need of some new running shoes, so I talked her into stopping into the Road Runner Sports to see what they had. The store was large, clean, and well laid out. 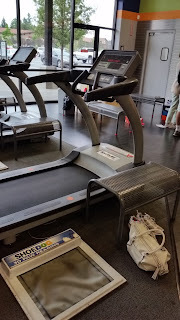 We were greeted immediately and when we went back to the shoe section, I saw that there were three treadmills set up for a fit analysis, so we signed my wife up (which was free). 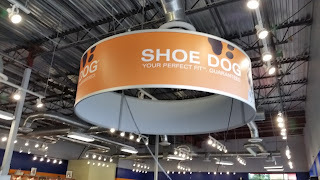 They call it the shoe dog, the process that will fetch the right shoes for you. The fit process began by answering a few questions about what type of running you do, if you have any areas of pain, and what your goals are (i.e. 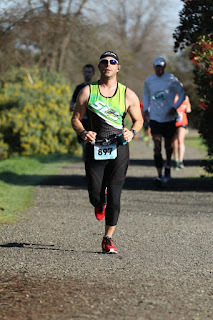 tackling your first half marathon, trying to lose some weight). Then you stand on a gel pad that maps your foot, letting them know what type of arches you have. After that you run on a treadmill for a video analysis to look at your running gait (the way you run). 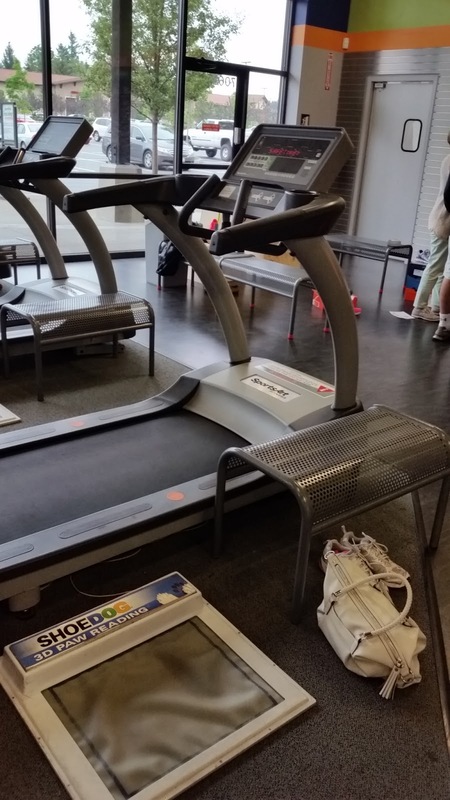 While you are on the treadmill they are heating up a pair of custom insoles that they will custom fit to your foot. The custom insoles cost $71.99 if you are a VIP member, but you do not have to purchase them and you can return them if you do purchase them but don’t like them. The thing I like about these insoles is that they are molded to your foot. You could spend $45 on a pair of Superfeet (which are great), but they are not made specifically for your foot like the custom insoles from Road Runner Sports. They took a few frames from the video to show that my wife does not overpronate and should be in a neutral shoe. This is very interesting, considering that my wife has been running in a stability shoe after the people at Fleet Feet told her that she overpronates. Fleet Feet just had her walk down an aisle and back. I feel the fitting at Road Runner was much more through and I would strongly recommend that you get fitted at your local Road Runner Sports store. I am not putting down Fleet Feet and I strongly recommend getting fitted at a local running store if there is not a Road RunnerSports near you. Getting in the right pair of shoes can be one of the easiest ways to reduce the risk of getting injured while running. They brought out 8 different pairs of shoes and let my wife try them on. She settled on a pair of New Balance shoes. The overall experience was excellent and I was more impressed by being at the store than I was by their website. Road Runner Sports is awesome! 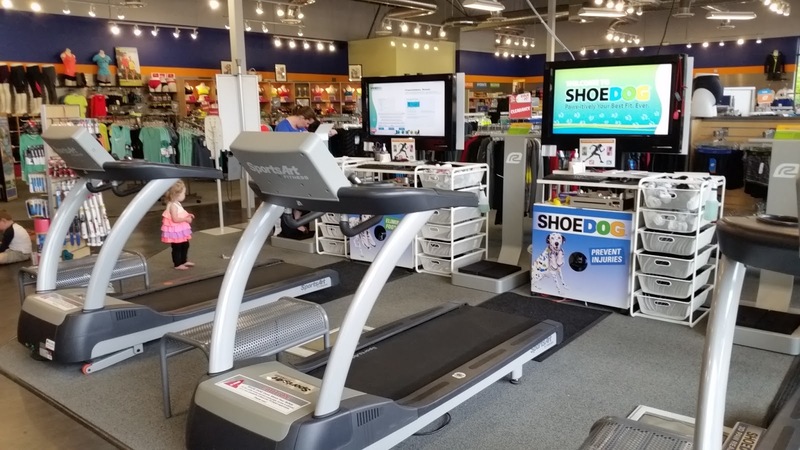 I talked to the people at Road Runner Sports and they are going to provide one of my readers with a free pair of shoes (up to $140 MSRP). Look for details to follow.